Grab this new $1/2 Kettle Brand items printable coupon for a great deal at Walmart this week. Kettle Brand Potato Chips, $2.98 ea. $4.96 wyb 2 ($2.48 each) after coupon! Kettle Brand Potato Chips (8.5-9 oz. ), $2.99 ea. $4.98 wyb 2 ($2.49 each) after coupon! Kettle Brand Potato Chips (9 oz. ), $0.76 ea. Check your SavingStar account for this $5/$20 Emerald Nuts, Pop Secret or Kettle Brand Products (SavingStar Deposit) – this purchase should count towards that but you’ll have to upload the receipt to your account. Here’s a new $0.50/1 Ivory Body Wash or one 3-Bar Pack printable coupon that makes for a great deal on Ivory Soap at Walmart or Target this week – 3 bars of Ivory Soap for a low $0.16 each! 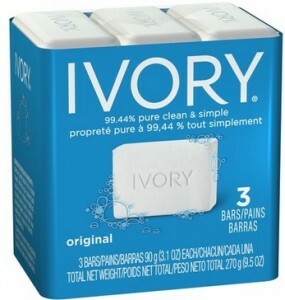 Ivory Bar Soap (3 pk. ), $0.97 ea. Ivory Body Wash (12 oz.) $0.97 ea. Ivory Aloe Soap (10 pk. ), $2.99 ea. $2.49 after coupon ($0.25 per bar)! Here’s a new $0.50/1 Ivory Body Wash or one 3-Bar Pack printable coupon that makes for a great deal on Ivory Soap at Walmart or Target this week – 3 bars of Ivory Soap for a low $0.25 each! Ivory Bar Soap (3 pk. ), $1.24 ea. 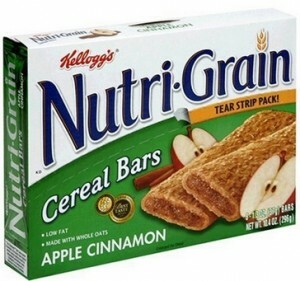 NutriGrain Bars $1.10 at Walmart! $1.10 each wyb 2 after coupon and rebate!